What does a Paint Contractor do? 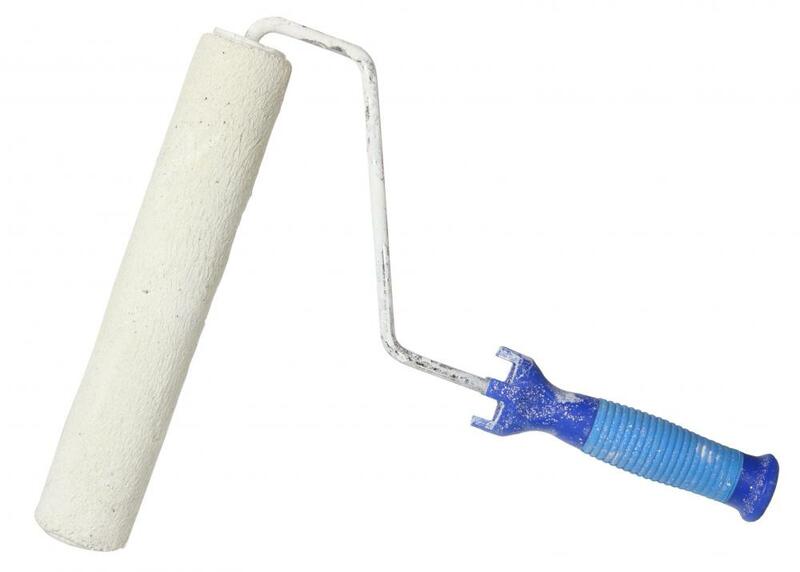 Paint contractors often use paint rollers to apply paint. A house-painting contractor will need to measure the area to be painted and determine the kind of paint for the job before giving an estimate. 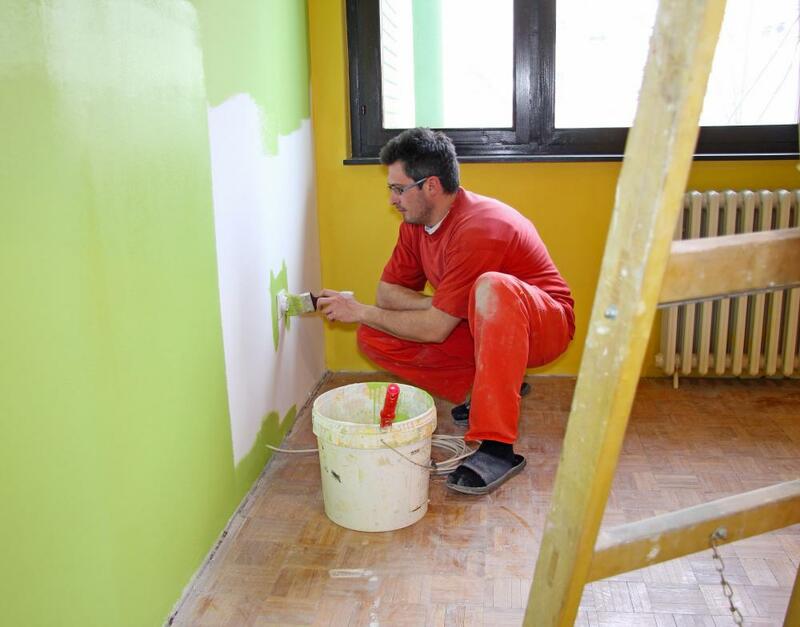 A paint contractor will typically find potential jobs for work and may run a painting company and hire other employees who he or she will then oversee. On a smaller scale, this sort of contractor may also typically be responsible for interior and exterior painting, and may offer a number of other, related services as well. This can include hanging wallpaper, cleaning and preparing surfaces for painting, and certain flooring services such as applying varnish or other similar treatments. A paint contractor will usually work his or her way up to stable employment, typically after a period of apprenticeship or learning under the guidance of another painter. Often simply called a painter, a paint contractor may be someone working for others or he or she could be a painter running his or her own small business. Large construction companies that handle numerous parts of a construction job may have painters hired who work on their jobs. A paint contractor could instead work as an independent painter or run his or her own painting company. Starting up such a company can often be fairly easy as long as he or she has the skills needed. These skills can be learned through a structured apprentice program provided by a union or may be learned working for other painters. In general, a paint contractor will actually do the work that is involved with painting or otherwise finishing the walls, ceiling, and floor of a commercial or residential property. A painter might offer a number of different services, or specialize in only a few options, depending on preference and ability. Among the different options offered, the most common is usually exterior and interior painting, preparing surfaces for painting, hanging wallpaper, and floor finishing. A paint contractor can prepare a surface for painting by cleaning the surface and removing old paint or wallpaper, typically through applications of cleaner and scraping. Painting is usually done by a paint contractor using a paint brush, roller, sprayer or combination of all three in various applications. Not all painters will also hang wallpaper, especially since they can be very different skills to learn, but many painters may offer it as a way to increase business. This usually involves properly measuring, cutting, and gluing wallpaper onto walls and similar surfaces. Floor finishing provided by a paint contractor often involves cleaning, varnishing, and otherwise finishing wooden or tile floors. The work of a painter is typically done at the end of a construction job, to ensure that other workers do not damage the finishing done by a painter. How Do I Choose the Best Paint Specialists? How Do I Get a Painter Apprenticeship? What Are the Pros and Cons of Glue on Ceiling Tiles? What Are the Best Tips for Starting a Painting Business? What does an Industrial Painting Contractor do? How do I Become a Paint Contractor?